There is no doubt that the power of music turns an event into a memory. Have you ever stopped to consider how the use of music alters our mood, whether from one of joy to sadness or satire to drama in an instant. This relationship of mood or personal experience with music is made even more poignant, when the music is played by a Highland Piper: There is a purity of sound enhanced by the lone performance of the bagpiper before an audience; each note listened to and felt intently. Music no doubt makes an event a memorable one, whether the event is for business or pleasure, sorrow or joy. 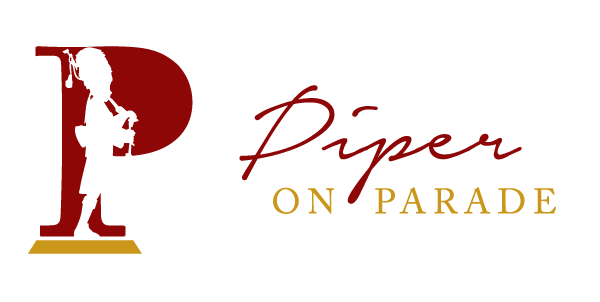 That is why Piper on Parade, your Scottish piper, has been such a success over the years, performing before her Majesty Queen Elizabeth II and other heads of state through to key business gatherings, weddings, funerals and celebrations here in the UK and overseas. So what must you do to ensure the wedding or event you are planning is successful. Well, apart from being assured of excellent music and performance, enhanced by immaculate ceremonial dress and turnout, it has to be how simply Piper on Parade, your Highland wedding piper may be booked. Based in the Inverness area and central to the Scottish Highlands, undertaking business across Scotland and beyond Just call or email. You can be assured of music to suit all occasions whether you require an Inverness Piper, wedding piper, funeral piper, or special event piper, an appropriate tone will be taken for your event by Piper on Parade. Specialist requests can also be discussed and catered for where at all possible. Call us now for a quote on 07515263716 or 01463 870244 or you can Email Us.